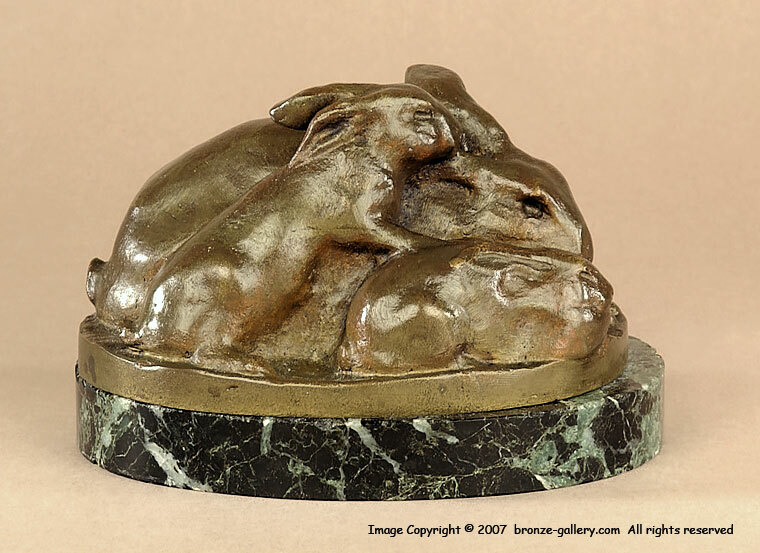 Emilie Fiero created several small sculptures of animals including this small bronze of a Rabbit Family cuddled together. 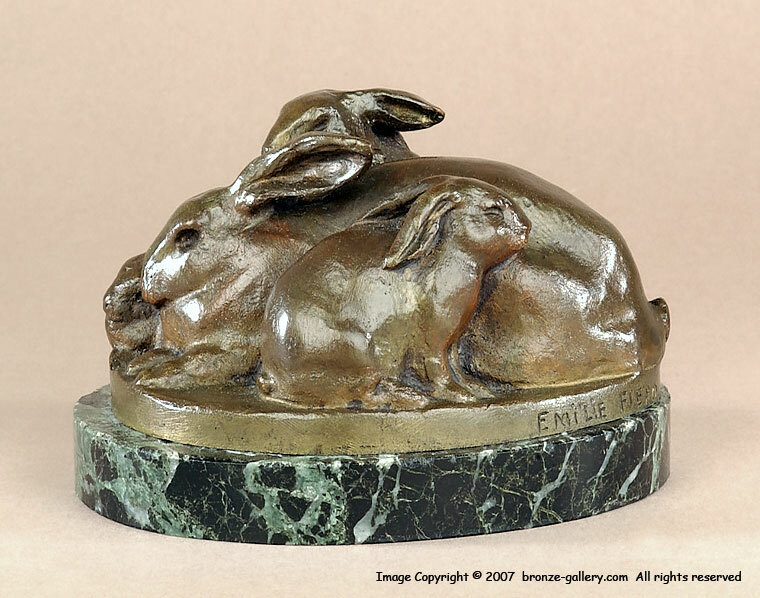 Emilie studied under Paul Bartlett and his influence can be seen in this small sculpture which shows the character of the Rabbits as they group together. This is an earlier work since it is more realistic in the style of the French Animaliers. 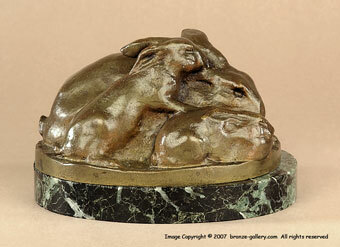 The bronze measures 5" long not including the marble base. The Rabbits have a rich brown patina and are mounted on the original green veined marble base.